This filly is either going to be a chocolate palomino or a very dark chestnut, she has a flaxen mane & tail, she is a real looker. 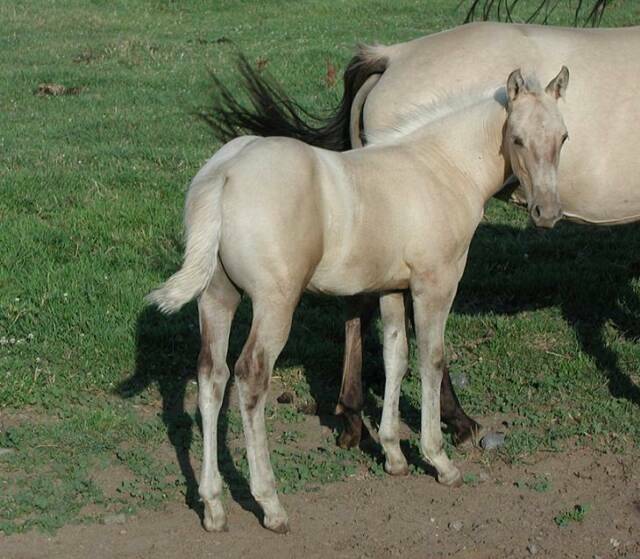 Well built palomino colt, looks like he may end up a darker palomino but to soon to tell. 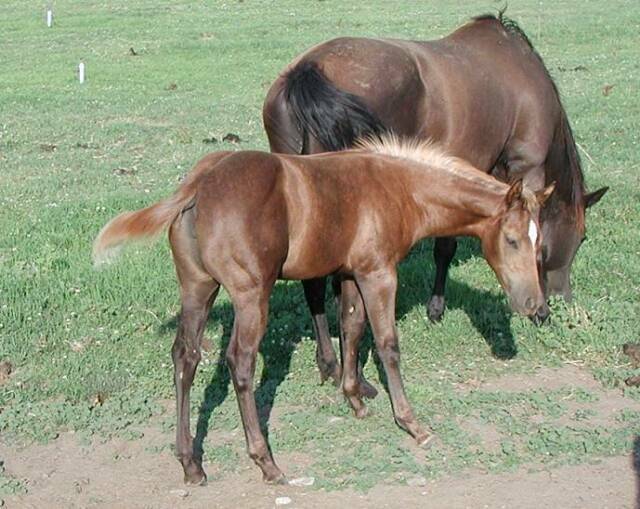 Very sharp looking colt. He's got working bloodlines on both the top and bottom side. No white. 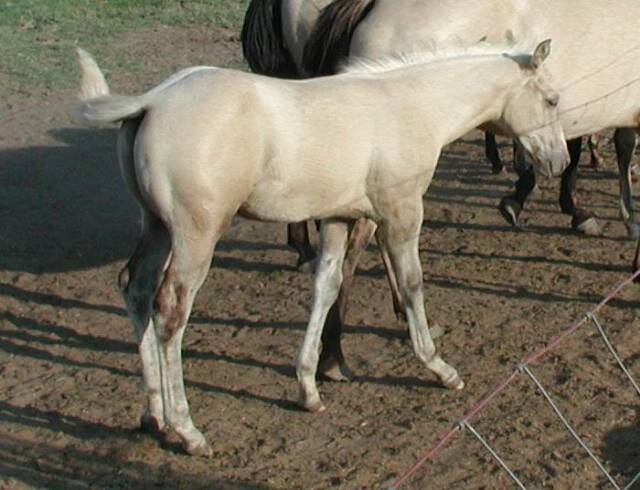 This is a well put together colt, no white, show quality and a stallion prospect. 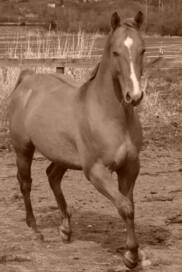 He is a very well built colt with working and show bloodlines. 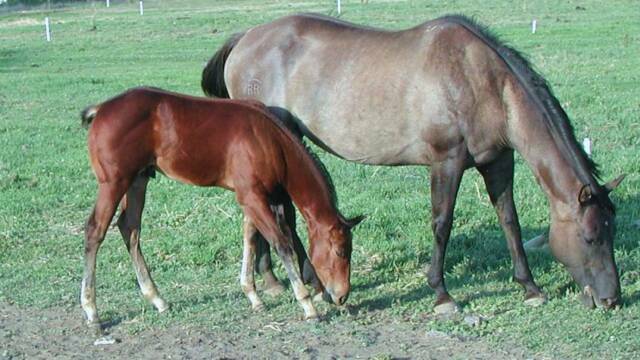 2009 AQHA Red Dun Colt "Payton"
Nice put together colt, , show quality and a stallion prospect. 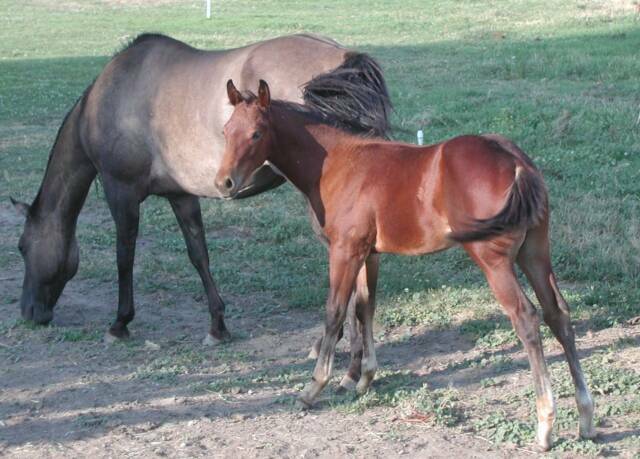 He is a very sharp looking colt with working and show bloodlines. 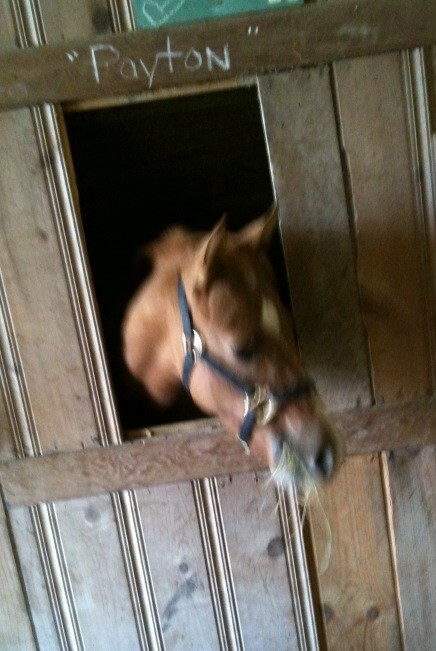 He would make a good stallion prospect. AQHA Incentive Fund Eligible.